Hello everyone, smile, it’s Friday! I should be happy right? I have the weekend to vent off a little. There’s another charity event for Banned4Life at Drip Orlando tomorrow and I’ll finally be getting a chance to catch The Great Gatsby. However, my smile dropped for a second as I was scrolling through the Top News on IMDb earlier today. 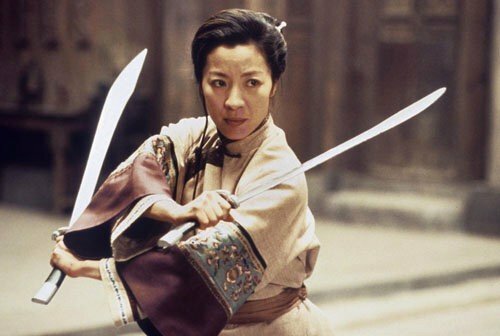 News are that a sequel to Ang Lee’s masterpiece Crouching Tiger, Hidden Dragon is in the works. From a fan’s point of view, I’m not excited because Ang Lee isn’t attached to the project and from the original cast, only Michelle Yeoh is confirmed to return. On the other side, from a producer’s perspective, it makes total sense with the dramatic rise of cinema in Asia, especially China, both by filmmakers and fans. Also, The Weinstein Company is involved, so chances of a screw-up are less. Remember the Transformers blogpost I wrote a few weeks ago? If you didn’t catch it, click HERE to read it and understand more in depth what’s happening overseas. (There’s another relevant article that contains numbers. If you’re a producer or distribution rep, you may want to click HERE). I’ll keep you guys updated as more new regarding this sequel come to light. In the mean time, feel free to share with me your thoughts and why you are in favor or not. Have a great weekend!